What's the quickest way to lose a customer? What's the quickest way to lose a customer AND their friends/family? Or, to place the discussion in broader terms, a bad customer experience. A subpar customer experience - which includes the user experience with the product as well as their larger interactions with a brand and the company's employees - is something a person will never forget. A bad product, on the other hand, can be improved upon with a responsive company. Responsive companies are comprised of engaged employees. And in those companies, every employee owns the customer experience. Whether they interface with customers directly or not, they have an impact on customer retention (and revenue). Employee engagement equals customer engagement and retention. The majority of organizations that have high (over 50%) employee engagement rates retain over 80% of their customers, according to a recent study from Demand Metric. Much like the decision between customer acquisition vs customer retention, this one seems painfully easy - "Let's just get those employees motivated!" Unfortunately, there's a lot of work to be done in this area. 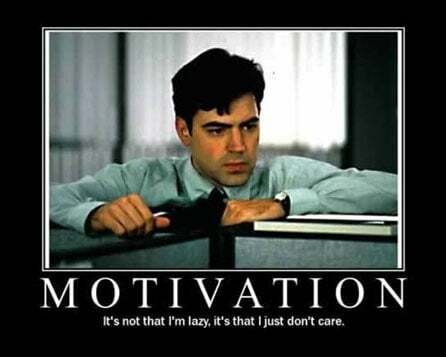 Only 30% of employees are actively engaged, and 80% say they're motivated to do their jobs through coercion. Employee engagement takes a village. Too many companies simply chalk it up to an HR focus and let that department deal with it. In reality, it's everyone's initiative - setting a purpose, communicating that purpose, equipping people to serve that purpose, and rewarding them for doing so. It starts from executives and works its way down through managers to supervisors to every employee. Each party has a stake, a piece of ownership of the customer experience. The reward? Organizations in which employees are primarily motivated by shared values and a commitment to a mission and purpose (also known as self governing) are nine times more likely to have high customer satisfaction than other firms. What do highly-satisfied customers bring to the table? This is the sweet spot. This is why it pays to take care of those who pay you. The employees believe in what they're doing and they believe in what it can do for customers, so they get invested in maintaining their part of that relationship for the sake of the purpose. Employee discount programs and other perks are also important. A great customer experience is a result of engaged employees at all levels. Not just the people in the call center, either. It's every person in the organization, from the janitors and cashiers to programmers and executives. So if you're looking for a boost in customer loyalty, look internally first.